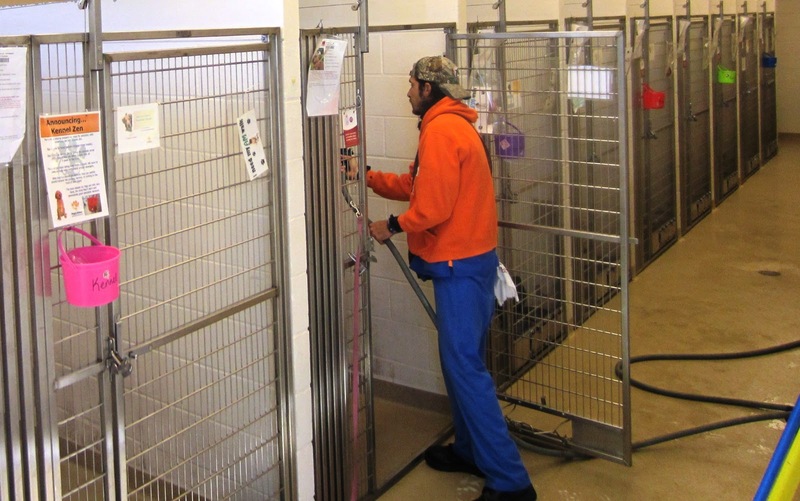 Peggy Adams Animal Rescue League: Clean! It's a comment many people make when first visiting our shelter. They say, "It's so clean!" 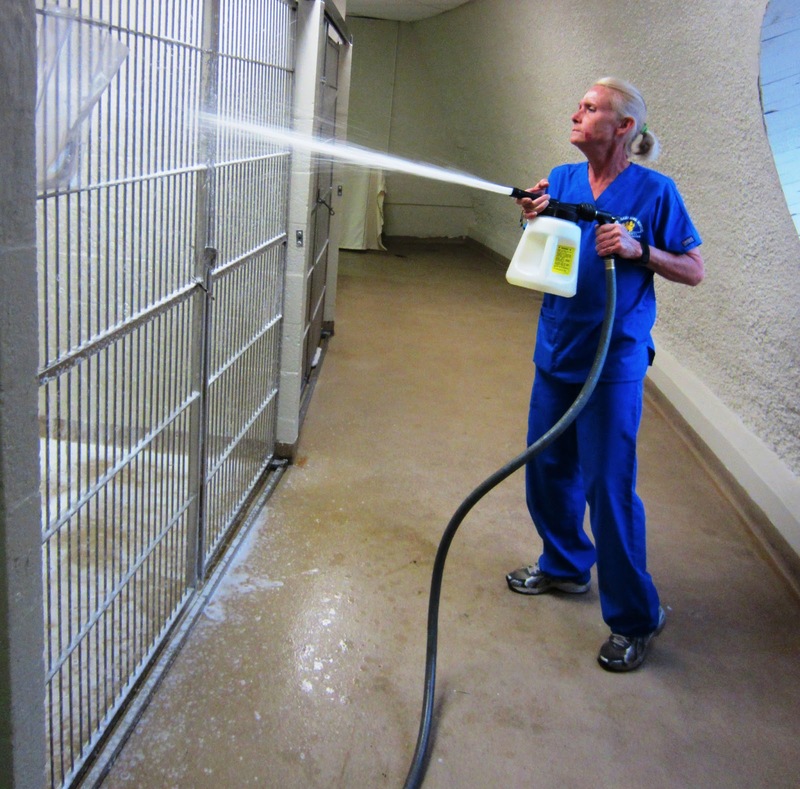 Cleanliness is a very important value at Peggy Adams Animal Rescue League. On average, an animal is with us for up to 35 days (some long term animals have been with us for more than a year) and we want that stay to be as comfortable as possible. 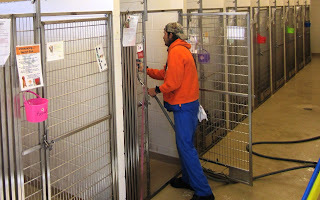 As you can see, every day our dog and cat areas are sprayed, scrubbed, and mopped. We make sure to use cleaning products that safe for the animals. For our dogs, the morning cleaning time is also the time when they are walked, so they come "home" to a nice, clean place. We also want to make sure that your visit to our facility is a pleasant one. Please join us in saluting our many staff members who keep Peggy Adams Animal Rescue League. Their dedication is priceless and we know it is appreciated by the animals.